The Volvo Buses are considered as the best luxury bus for covering a long journey. It is facilitated with the best and world-class comfort that ensures a complete relaxation of the traveler. If youâ��re looking out for the same at a market-leading charge then no name other than Punja Sahib is apt. 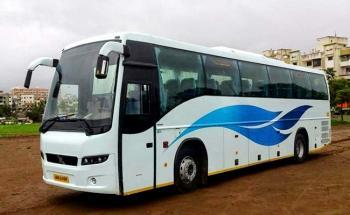 Operating from New Delhi (India), we can be contacted at any time for hiring the Volvo Bus on a rental basis. Dial our numbers today and avail the inexpensive service today.